GUADALAJARA, Mexico—An offensive by Mexico’s new government against fuel theft at one of the country’s main refineries has led to shortages at gas stations across several central states, as authorities move more fuel by tankers and less by vulnerable pipelines. 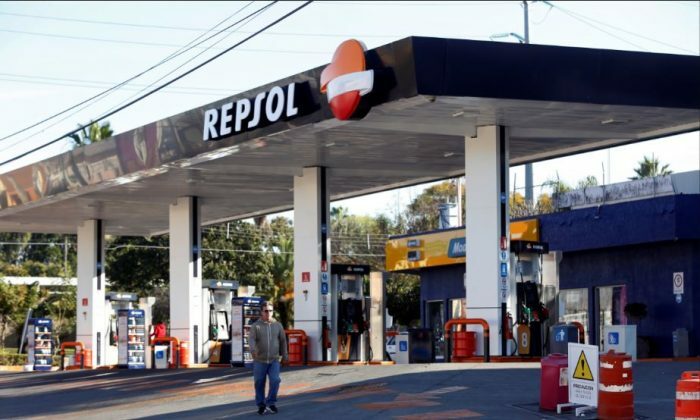 A Reuters witness said many gas stations in the city of Guadalajara in Jalisco state were closed on June. 6, and that there were long lines of motorists at those that were operating. Violent criminal gangs have for years used fuel theft as a way to supplement their income, hurting Mexico’s refineries, bleeding money from state coffers and driving bloodshed as they fight rivals and extort oil workers. President Andres Manuel Lopez Obrador, who took office in December, said on June. 4 that the shortages were caused in part by a decision to move fuel by tankers rather than pipelines. Obrador has vowed to tackle theft “outside and inside” the state oil firm Petroleos Mexicanos or Pemex, which estimates that fuel worth more than 146 billion pesos ($7.40 billion) has been stolen since 2016 alone. The president said last month that Mexico’s armed forces would take part in security at Pemex installations around the country, including a refinery the company runs in the city of Salamanca in the central state of Guanajuato. Pemex said on June. 5 that it is “preferring the use of safer means of transport, which means changes in the logistics for delivery to service stations,” leading to delays in the states of Hidalgo, Mexico, Jalisco, Michoacan, Guanajuato, and Queretaro. A May 2017 study commissioned by the national energy regulator found that thieves, between 2009 and 2016, had tapped pipelines roughly every 1.4 kms (0.86 mi) along Pemex’s approximately 14,000 km pipeline network.